According to the American Dental Association (ADA), almost half of US adults over the age of 30 have periodontal disease. And periodontal disease is a leading cause of tooth loss in older adults. This is why it is so important to catch the disease early and treat it before it progresses. 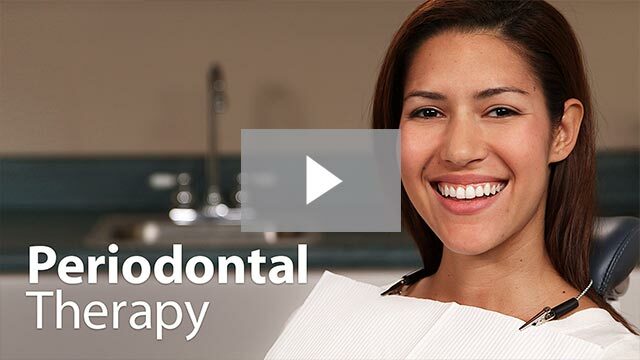 Periodontal treatment depends on the type of the disease and how severe it is. If the disease is caught early (when it is gingivitis), and no damage has been done to the supporting structures of the teeth (bone and periodontal ligament), you may simply need a professional cleaning along with proper daily brushing and flossing. However, if periodontal disease advances, the first step in treating it usually involves a special deep cleaning called scaling and root planing. Periodontal disease is an infection of the gum and bone that supports the teeth. Healthy gum tissue fits like a cuff around each tooth. When someone has periodontal disease, the gum tissue pulls away from the tooth. As the disease worsens, the tissue and bone supporting the tooth are damaged. Without treatment, over time teeth may get loose, mobile, fall out, or need to be removed (dental extraction). Periodontal disease may not be painful. You may not be aware of the problem until your gums and supporting bone are irreversibly damaged. Periodontal disease is caused by the body’s own inflammatory response to plaque and calculus (tartar). Plaque is a sticky film of bacteria that is always forming on your teeth. If it is not removed from the teeth by brushing and flossing, it can harden into calculus. Once plaque turns into calculus, it can only be removed by a dental professional. Like plaque, calculus contains bacteria that can irritate and inflame the gums. This stage is called gingivitis and is reversible. Eliminating gingivitis can be as easy as a trip to our dental office for a professional cleaning (prophylaxis), along with proper daily brushing and flossing. As the disease progresses from gingivitis, inflamed gums pull away from the teeth and form pockets (loss of the natural gum seal). These pockets now trap more plaque that cannot be removed with toothbrushing. If the pockets are not treated, the process progresses down to the bone level as the gum recedes (gum recession). Once it reaches bone, it starts to break down both the bone and periodontal ligament. At this point, teeth may even become loose and need to be removed (dental extraction). Diseases such as diabetes and AIDS can place a person at higher risk for periodontal disease. Tobacco use also increases you risk of developing the disease, and treatment may be less successful if you continue to smoke or chew. The truth is periodontal health is essential for our body’s health. It is known that 75 percent of all adult tooth loss is due to periodontal disease. Lack of periodontal care is the beginning of a long list of serious health conditions associated with it. Some of it is due to the disease-causing bacteria being released into the bloodstream. These bacteria attach to fatty plaques in the coronary arteries, leading to two very serious health complications: coronary disease and stroke. If that is not scary enough, periodontal disease may cause people with diabetes to have a harder time controlling their blood sugar, this is due to the fact that it can increase blood sugar. 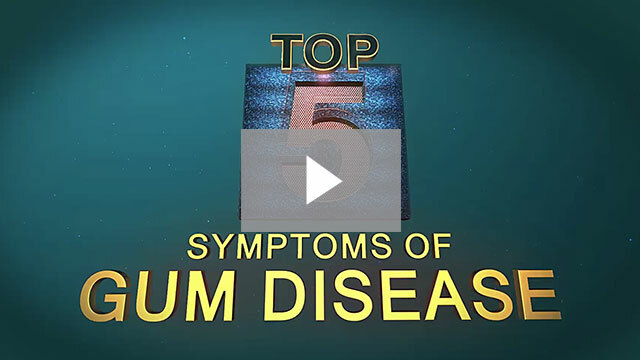 These are only some of the many health conditions related to periodontal disease. Uses a periodontal probe to gently measure the spaces between the teeth and gums. In a healthy mouth, this space (pocket) is usually less than 3 millimeters deep. Very deep pockets (greater than 6 millimeters) are a sign of advanced periodontal disease. Dental x-rays usually are taken to show the extent of bone loss. Low bone levels can be a sign of damage from periodontal disease. If periodontal disease is diagnosed, your dentist and hygienist may provide treatment (scaling and root planing) or may refer you to a periodontist (a dentist who specializes in the diagnosis, prevention, and treatment of periodontal disease). A periodontist may need to offer periodontal surgery in advanced cases. This procedure is usually performed with special dental instruments and often includes the use of an ultrasonic scaling tool. The scaling tool removes calculus and plaque from the surface of the crown (supragingival) and root surfaces (subgingival). In many cases, the scaling tool includes an irrigation process that can also be used to deliver an antimicrobial agent below the gums that can help reduce bacteria. This procedure is used to remove cementum and surface dentin that is embedded with unwanted bacteria, their toxins, and calculus. The root of the tooth is literally smoothed in order to promote good healing of the adjacent gum tissue. Having clean, smooth root surfaces helps prevent bacteria from easily colonizing in the future. Following the deep cleaning procedures, in some cases, the gum pockets may be treated with antibiotics. This will soothe irritation and help the gum tissues to heal quickly. During a follow-up appointment, the dentist or hygienist will thoroughly examine the gums again to see how well the pockets have healed. If the gum pockets still measure more than 3 millimeters in depth, additional and more intensive treatments may be recommended or a referral to a periodontist may be necessary. Once your periodontal treatment is completed, your dentist may recommend more frequent checkups and deep cleanings (periodontal maintenance) to keep the disease under control. In some cases, your appointments may alternate between your regular dentist and periodontist. Good oral hygiene at home also is very important to keep periodontal disease from becoming more serious or coming back. Brushing twice a day with fluoride toothpaste and flossing once a day helps keep plaque under control and reduces calculus buildup. You don’t have to lose your teeth to periodontal disease. Brush, floss, eat a healthy diet, and visit us regularly for a lifetime of healthy smiles. For any further questions about periodontal disease and treatment please do not hesitate to ask us.